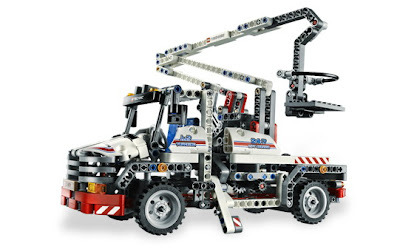 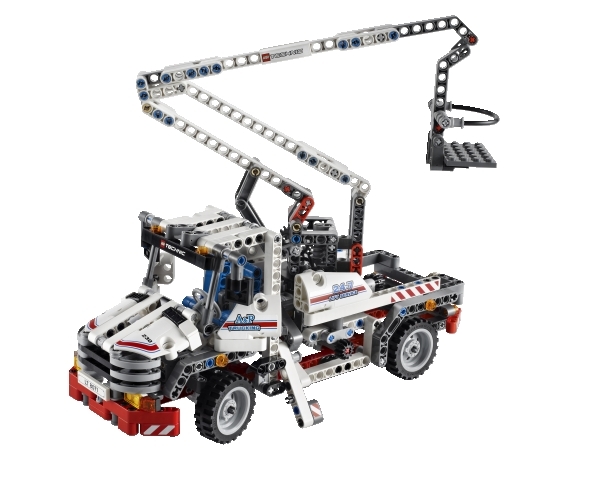 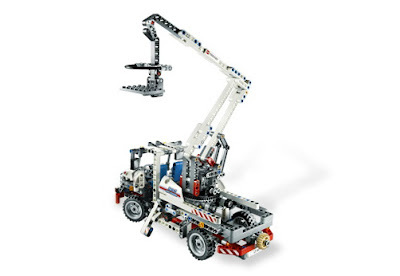 main model is a bucket truck. building alternative included a telehandler. 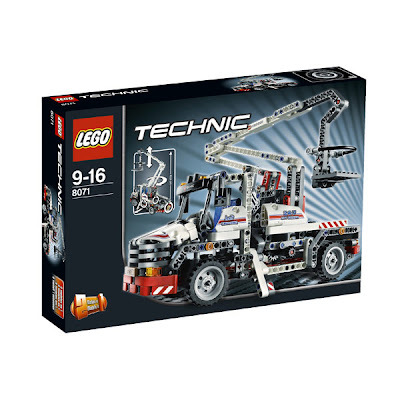 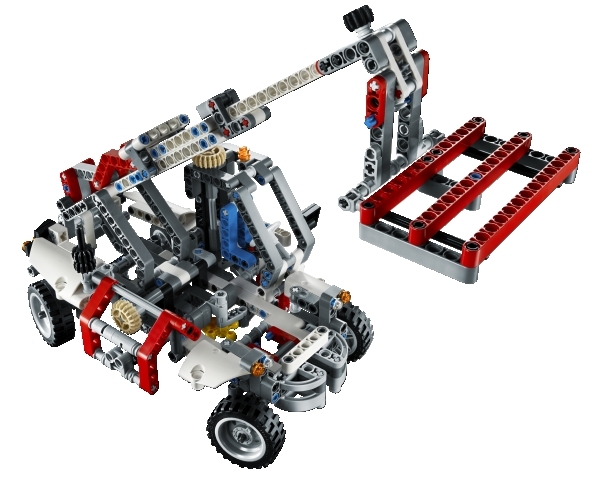 come with a steerable front wheels, openable doors, extendable stabilizer outriggers and an articulated rotatable arm with bucket.